I’d like to cover a few points of ‘Umpire’s judgements’ in this posting. It’s been some time since I posted last in ‘Umpire’s Call’, so I’ll try to cover a host of umpire’s judgement situations. As you all know, there are many situations in a baseball game where rules apply and are also subject to certain judgement by the Umpire. In most of our amateur league games we don’t have the luxury of MLB Pro ball with a plate umpire (Umpire in Chief, or UIC) plus an umpire for each base and even outfield umpires. 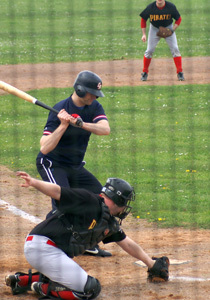 Therefore, with usually only a plate umpire, players, managers and coaches should be aware of the fact that a plate umpire has a big field to cover; and the plate umpire should be aware of the fact that he or she must move out into the infield to get as best an angle as he/she can on the plays. Now, let’s look at a few situations where the Umpire has to make a decision, a ‘call’, based on judgement, and according to the official rules. Catches. We all know that the Umpire makes a careful judgement about whether the ball was caught by the baseman in a forced play and calls the runner safe or out; and equally on whether a tag was made on the runner in an unforced base play. But there is further onus of careful judgement on the Umpire in the classic catch of a fly ball, and the catch of a thrown ball to a baseman. If in the Umpire’s judgement the fielder catching a fly ball or baseman catching a thrown ball in either a force-out or tag-out play is not in full possession and control of the ball, he/she will call the play ‘no-catch’ or the runner ‘safe’. 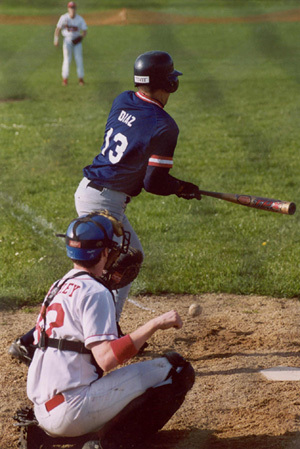 It does occur sometimes that a runner makes first base while the first baseman for defence is still ‘juggling’ his catch; or that an outfielder attempting to catch a fly ball traps it against his chest (for example) but does not have real control of the catch or hold it long enough before the ball is dropped. It’s the Umpire’s judgement. Obstruction and interference plays. 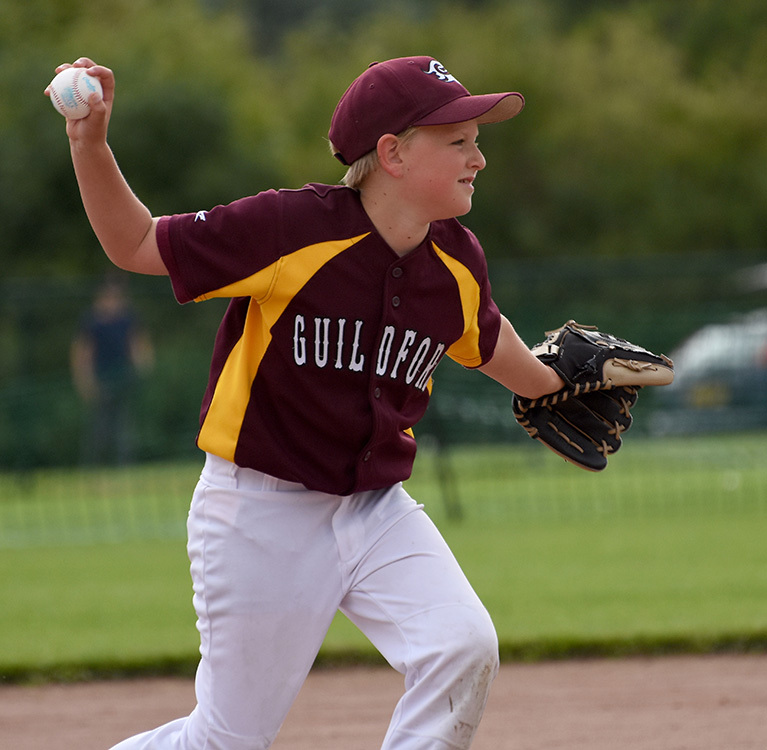 No player can deliberately try to prevent an opponent from making a catch, throw or tag by, for example, snatching at the fielder’s glove. I’m sure we all know this. But did you know that, equally, a runner who shouts, waves his limbs about or deliberately stops in front of a ground or fly ball to obscure the fielder’s view and legitimate attempt to catch/field the ball or otherwise, except in a legal slide, attempts to distract a fielder, is, in the Umpire’s judgement, committing an offence, and shall be called out? It’s the Umpire’s judgement, and it’s final. Did he swing? Another classic situation that gets ‘discussed’ a lot is the check-swing or half-swing. A check-swing or half-swing is not actually defined in the OFFICIAL BASEBALL RULES 2014 Edition (or in any earlier edition as far as I know). It is the Umpire’s judgement in calling balls and strikes, of course. And it is also his/her judgement to declare a ‘check- or half-swing’ a ball or a strike. 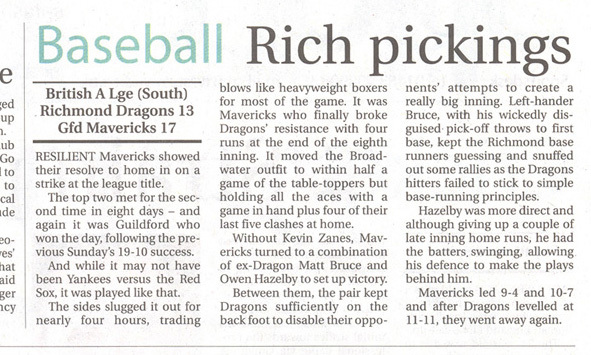 There are all sorts of opinions about ‘did he break his wrists’ or ‘did the bat come in front of the plate’? These are criteria that the Umpire should consider in calling it a ball or strike. But the primary consideration is, in the Umpire’s judgement, was that batter’s intention to try to hit the ball. And here is another point to bear in mind, please, managers and coaches. In a game where there is a field or base umpire an appeal on a check- or half-swing can be made, in which the plate umpire will ask the field umpire ‘did he go?’ — and a call of ball can be reversed to a strike if the field umpire declare ‘yes he did’. But, if the plate umpire’s original call was ‘strike’, there can be no appeal. And only a manger can appeal, not a fielder, catcher or anyone else. Hit by pitch. Another, not infrequent, call that an umpire needs to make is the ‘hit by pitch’ (HBP). It is illegal for a pitcher the pith directly at a batter — if, in the Umpire’s judgement, a pitcher throws a pitch directly at a batter, he can award the batter first base. But don’t ponder much over this one — I don’t think any of the pitchers in our league would really do this. But we come to the ‘discussion’ about, did the batter attempt to avoid being hit? (This situation came up twice in a recent game that I umpired.) This is a bit like the HBP scenario. Is the batter really trying to avoid being hit by the pitch? Or was he ‘taking one for the team’ to get on base? Well, it has to be the Umpire’s judgement. Basically, an umpire will look for ‘a movement’; and if the batter moved, will award the base. One might argue that simply turning a bit so that the ball hits you on the back (probably least painful), you are not really trying to avoid being hit. But who’s to know. Anyone seeing a pitched ball coming at him or her will most likely move in some way or other. It has to be a quick reaction, and sometimes it’s just to turn ‘away’ from the ball, but not actually move to one side or other. My own criterion is, ‘did he or she move’ — yes? Award a base; no? Call a ball and recall the batter to the batter’s box. Lastly on this one, bear in mind, if a batter moves and is by a pitch that is, in the Umpire’s judgement, coming into the strike zone, he will call a strike, whether or not the batter is struck by the ball. The bang-bang play. An umpire always tries to get the best angle on the play — we’re taught to do this, surprisingly enough! Especially when you are the sole umpire. If you are, you move out from behind that plate! And you take your mask off. You position yourself and you stop — if you try to make calls on the trot, your head is bobbing up and down — not good! We are also told the ‘listen’. The sound of a ball smacking into a fielder’s glove is different from a runner’s foot hitting a base. Of course an umpire looks carefully, but on the classic ‘bang-bang’ play, the sound he hears can help him or her make the decision. If it’s really close the call will usually go to the runner. Balks. OK, lastly I’d just like to make a few comments about balks. These are difficult. We are not professional ball players in our league. Part of our enjoying of the game is having a good time paying it. Pitchers work hard. My advice is to take the Umpire’s calls and concentrate on your pitching. A balk is carefully defined in OFFICIAL BASEBALL RULES 2014 Edition [q.v.]. The judgement bit on the part of the Umpire is about whether he or she considers that the pitcher is making moves (intentionally or not) that can deceive or confuse base runners. Trying a pick-off of a base runner should be done before you start making all your normal wind-up movements. Dancing about, pausing too long, all these ‘antics’ are usually for naught and don’t help anybody or progress the game. In short, they are ‘tedious’ to the catcher, the umpire, the fielders and the base runners. If you want to try a pick-off throw, step off the pitcher’s plate (the ’rubber’) properly and throw the ball. Yes, I know a fake to second base is legal. But be warned, if you prance about, starting a wind-up, etc. the Umpire is likely to judge that you are deceiving/confusing the base runners, intentionally or otherwise; and will call a balk. So why risk it? I repeat, step off the pitcher’s plate (the ’rubber’) properly and throw the ball. Remember, the Umpire is there to see fair play and to make consistent calls on all plays, players and runners in an unbiased manner — that’s the Cardinal Rule of Baseball Umpiring. There’s more to umpiring than just shouting ‘Strike!’ and ‘Out’ or ‘Safe’! The Umpire’s judgement calls are final!